To activate your LED Necklace with Blue Beads, remove the battery protector and press the button for 1 of 3 light modes: Flash, blink & steady. 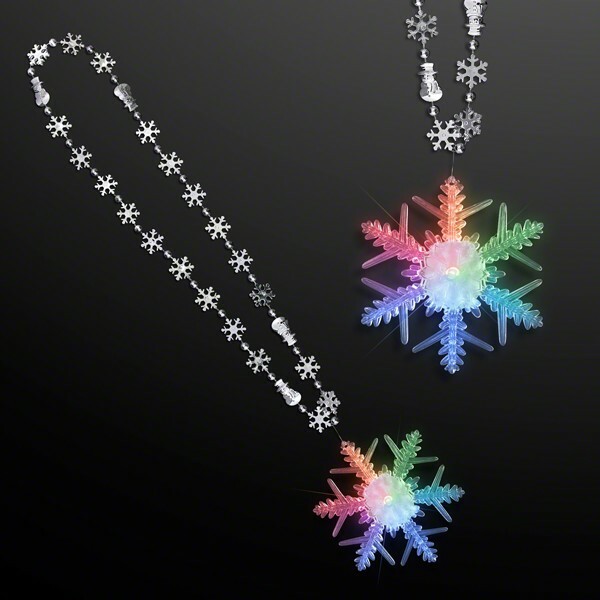 NOTE: Item comes with 6 LED beads, the remaining beads are standard round Mardi Gras beads. 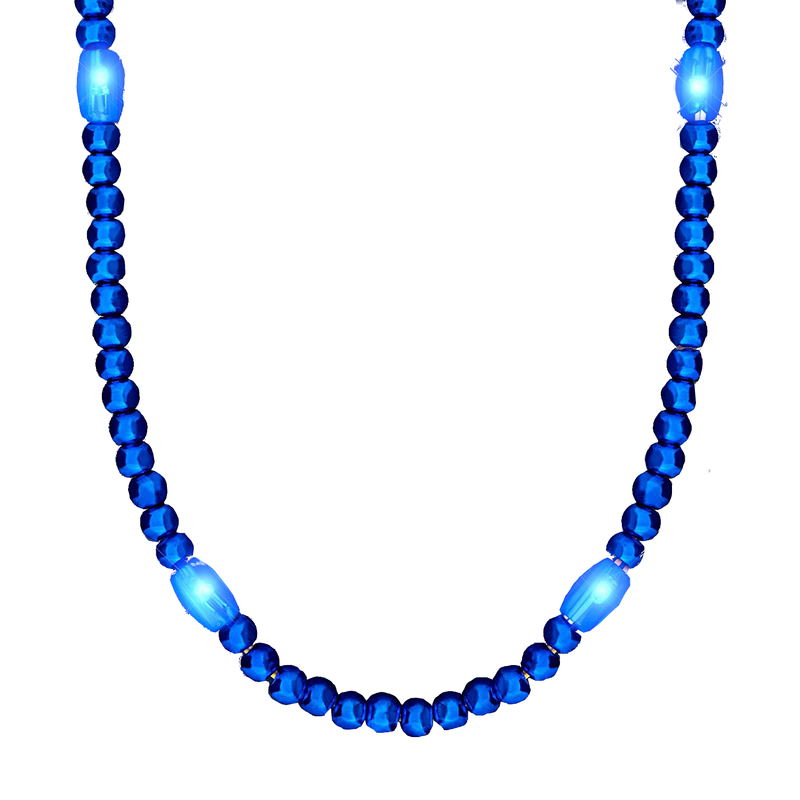 LEDs: 6 Blue Necklace Length: 30″ Necklace comes ready to use with 3 replaceable AG13 Batteries.